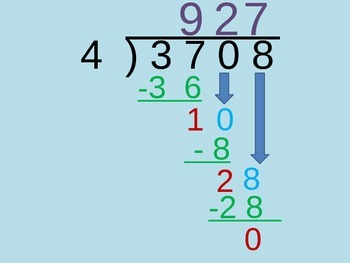 Shows step by step :) This Activity Reviews Long Division (12 practice slides), and has 3 slides used for introducing dividing decimals. 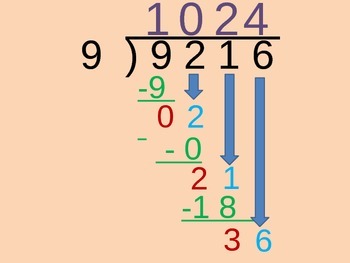 These three slides will allow students to try dividing decimals and figuring out the decimal rule on their own. 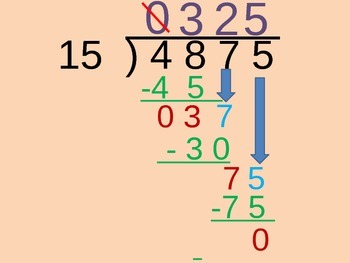 This can be used for 5th grade after teaching long division, or for 6th grade as a review and an introduction.